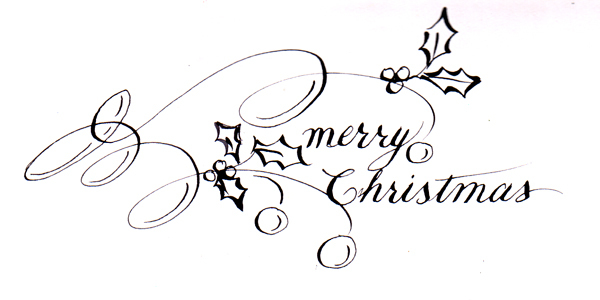 I took a class last weekend with Renate Worthington, one of our Guild members who taught Copperplate. Loved it and picked up some good tips. 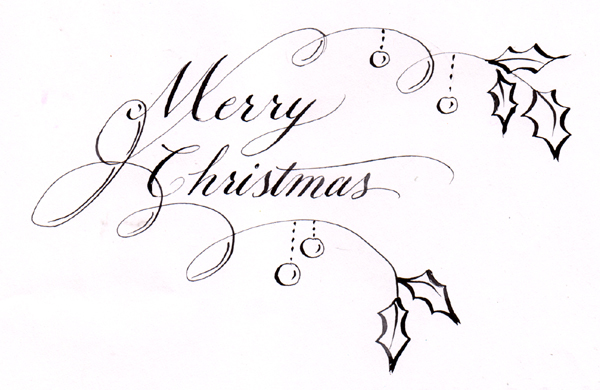 All lettering done with a Nikko G nib. 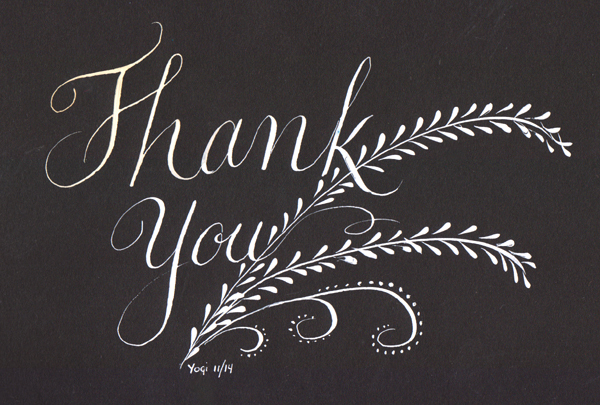 Both the Thank You above and the Thanks to the right were done on black Spectrum cardstock using a Nikko G nib and a mix of Copic opaque white mixed with H2º. 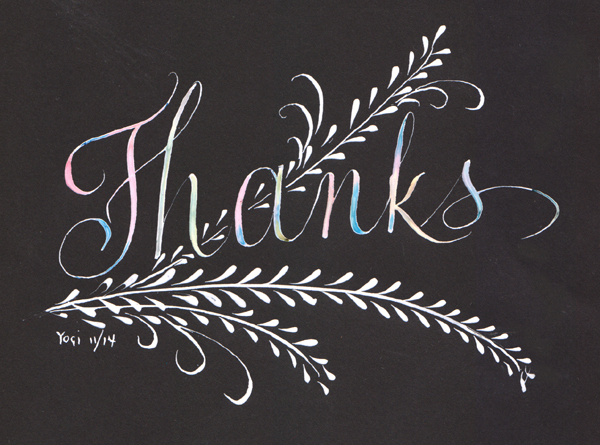 The thanks piece had Ecoline inks dropped into lettering while it was still wet. 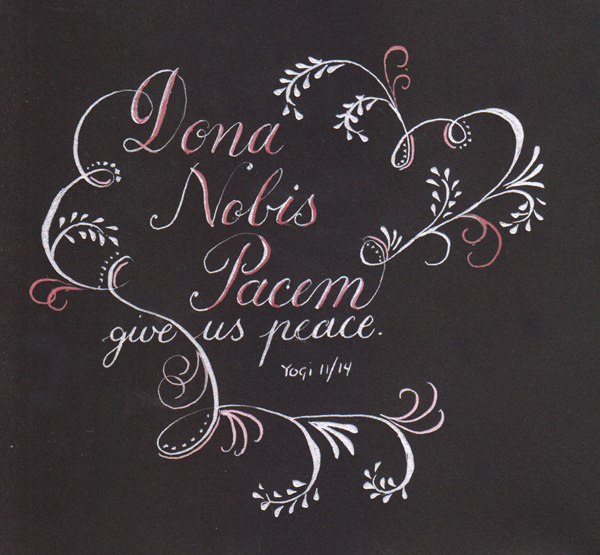 The Dona Nobis piece was also done on the Spectrum cardstock with Fine Tec "Silver Pearl". 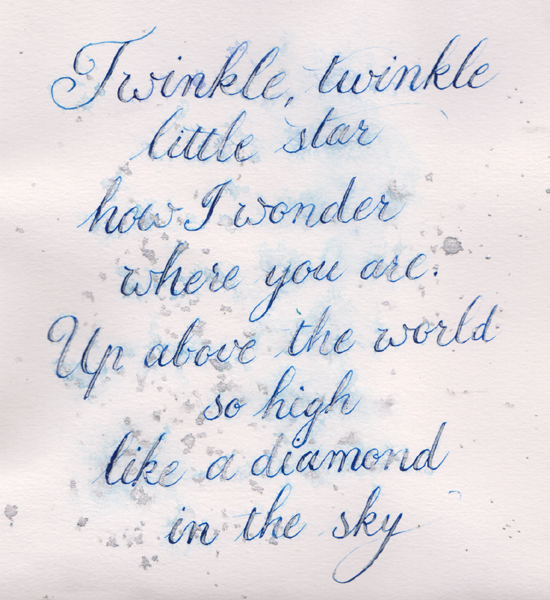 When dry penned in some "Red"
I used watercolor paints for the Twinkle Twinkle piece on Canson CP 90# watercolor paper. Went over the letters with silver. When dry, misted with water and then splattered some silver. 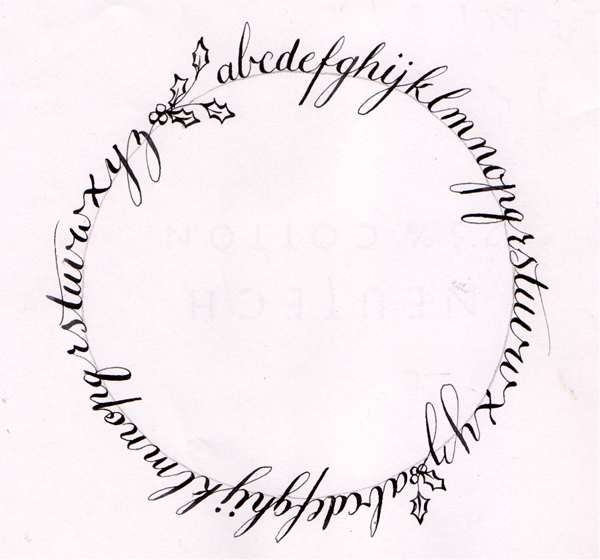 Renate asked us to draw a circle and then put the alphabet around it. A real fluke when I finished the first set of letters and it went 1/2 way around... without any forethought or practicing... Not sure what I'll put in the center. 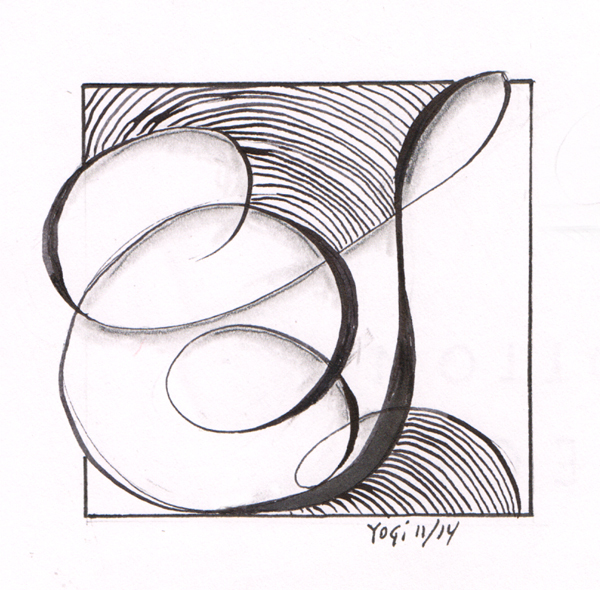 For the boxed S Renate said just draw a 3" square and put a large letter in to it... This is the first thing that came in to my head. I really like the graphic contrasting with the sensual aspect of it. 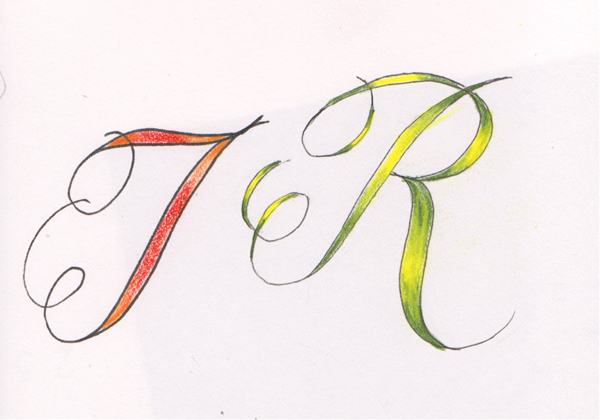 Again just playing, hand drawn letters, outline with a Zig Writer then colored with Prisma colored pencils. The last project we did was make a place holder. 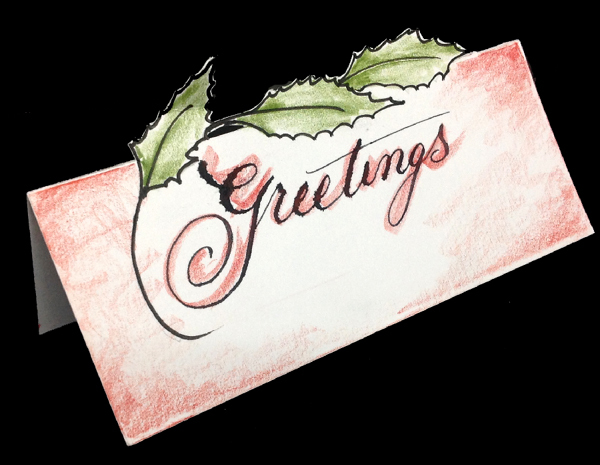 I used Neenah white 65# cardstock with Sumi ink... it bled. I then used the side of a red colored pencil to add shading.